The charge-sheet is part of the CBI probe into what is known as the Vyapam scam-- large-scale rigging of entrance and recruitment exams conducted by the MPPEB. 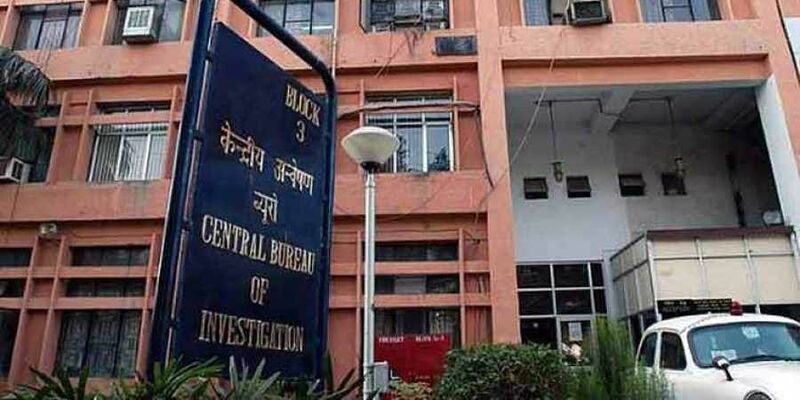 BHOPAL: The Central Bureau of Investigation (CBI) filed charge-sheet on Saturday against 26 persons in connection with the alleged rigging of transport constable recruitment test conducted by the Madhya Pradesh Professional Examination Board (MPPEB) or Vyapam in 2012. The charge-sheet was filed in the case - one of the several cases forming the multi-crore Vyapam scam - by the premier investigation agency before the court of special CBI judge Suresh Singh in Bhopal. The charge-sheeted accused included 19 candidates and seven other accused, among them former Vyapam officials and middlemen, the special prosecutor for the CBI Satish Dinkar told The New Indian Express. However, the charge-sheet had no mention about ex-MP CM Shivraj Singh Chouhan's wife Sadhna Singh. Importantly, senior Congress leader KK Mishra had alleged in 2014 that 19 candidates from Gondia district of Maharashtra (the native place of Sadhna Singh) were recruited by the state transport department following directions from the CM House. The 80-page charge-sheet mentioned, "allegations related to illegal selection of candidates from Gondia district of Maharashtra under political influence were also investigated, which did not reveal any illegality, irregularity or commission of any offence." Also, the CBI didn't find any evidence against 11 persons, including ex-MP higher education minister Laxmikant Sharma and his officer on special duty (OSD) OP Shukla. The Special Task Force (STF) of Madhya Pradesh (which was investigating the Vyapam scam related cases before the CBI was directed by the Supreme Court in 2015 to probe the multi-layered scam) had in 2014 filed case in the 2012 transport constable recruitment test case against Sharma, Shukla and some others. Sharma and Shukla, however, have been charge-sheeted by the CBI last year in two other Vyapam scam-related cases. All the accused charge-sheeted on Saturday by the CBI have been charged with forgery, criminal conspiracy under IPC sections, as well as under the Prevention of Corruption Act and Information Technology Act. Though the CBI has already filed charge-sheets in several other Vyapam scam-related cases in the past, it's the first charge-sheet in a case pertaining to the scam, which has been filed by premier investigation agency in the court after the Kamal Nath-led Congress government assumed power in MP after 15 years of BJP rule.